The P0174 trouble code can be a real pain because it can be pretty difficult to locate the problem. But with the help of this article, you will for sure be able to locate the problem fast. Basically, the P0174 trouble code means that there is a lean mixture in your engine which has to get fixed to get the light away. Let’s Go! What Does the P0174 Code Mean? In an ideal situation, the combustion engine maintains the air-fuel mixture ratio of 14.7 parts air to 1 part fuel. This is the perfect ratio for the combustion engine to operate effectively. However, if there is too much air and the amount of fuel is not adequate, a ‘lean’ condition is created which basically indicates that there is not enough fuel in the air-fuel mixture. As soon as the Engine Control Module detects a lean condition, it triggers the P0174 trouble code. The P0174 is a generic powertrain code and may trigger in any OBD-II equipped vehicle. There are some cases where the driver might not feel any symptoms at all. How to Diagnose the P0174 Code? 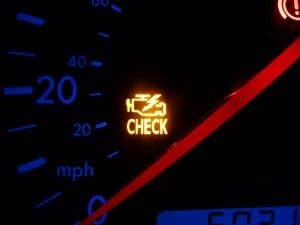 Before you take your car to a mechanic for a checkup, here are some easy steps you can take to diagnose the P0174 trouble code. When diagnosing the P0174 trouble code, it is important that you have the car battery charger attached as diagnosing trouble code is a lengthy procedure and there is a chance that your car battery charger might deplete. This can generate additional trouble codes and create more problems. To ensure that there is something wrong with the air-fuel mixture, you can check if the P0174 trouble code is generated by the vehicle’s onboard computer. 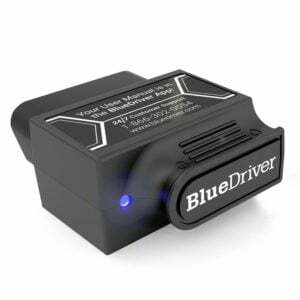 To check if the code is triggered, connect the OBD2 scanner and scan to see what exactly the problem is. Leaks in the vacuum hose or vacuum lines can cause unmetered air to enter the engine and disturb the air-fuel mixture. Inspect the vacuum lines and see if there is any sign of damage. A damaged gasket can also cause a vacuum leak and should be fixed as soon as possible. If you have checked the vacuum lines and hose and found no problem, it is possible that the problem may be with the mass air flow sensor. A dirty or damaged mass air flow sensor may not be working effectively and would be telling the engine that less air is entering the system. In such a case, cleaning the mass airflow sensor would fix the problem. The best way to clean the MAF is by using an electronic cleaner or a brake cleaner but make sure you don’t apply too much force while cleaning or the sensor may get damaged. The best way to test the mass air flow sensor is by using a scan tool. The mechanic will measure the readings of the mass air flow sensor at different RPMs with the readings of a new mass air flow sensor. Besides the mass airflow sensor, the O2 oxygen sensor might also trigger the P0174 trouble code. In case the oxygen sensor fails, it fails to deliver the correct info about the oxygen entering the system which disturbs the air-fuel mixture ration and thus triggering the P0174 trouble code. Can I fix the P0174 Trouble Code Myself? Since we discussed that there are multiple reasons why the P0174 trouble code is generated by the vehicle’s onboard computer, some of the problems can be fixed easily at home while some require professional help. For instance, if the problem is with the mass airflow sensor, you can easily remove it and service it yourself. Replacing a clogged air filter is also easy and could be done at home. However, if there is some other major problem with the engine intake system, it is recommended that you take your vehicle for a professional inspection. How Serious is the P0174 Trouble Code? If there is any other specific question associated with the P0174 trouble code or your vehicle, do write it below and one of our professional mechanics will surely assist you.